Buy Polo PH4119sunglasses online today at a friendly price. Originally made in 2016, Polo PH4119 sunglasses are lightweight plastic frames. They are comfortable to wear and are designed in signature Polo sunglasses frame style. Each pair of these authentic Polo sunglasses ships worldwide with a Polo glasses case and a cleaning cloth. After the order is placed, sunglasses Polo PH4119 will be packed and shipped to you via fastest shipping method to your location. Please note that when buying eyeglasses online that were manufactured in more than one size, you need to be attentive, especially if you are buying eyeglasses frames for replacement. Prescription lenses from old frames will only fit when the size matches. Size is written on glasses temple or sometimes on inside the nose bridge. Size does not matter if you are buying Polo PH4119 with prescription lenses. About Manufacturer Polo glasses and sunglasses are part of Ralph Lauren suite of brands. Polo Ralph Lauren is the most casual and sporty line. Polo sunglasses are also comfortably designed for men with big heads. This makes Polo one of the few luxury brands for big head men and woman. Polo glasses, just like Polo clothing has elements of casual and also sport style. A known polo logo is nicely embedded into the temples without being too prominent. Polo glasses and sunglasses priced into affordable category, which makes them extremely popular among men and woman of all ages and persoanal styles. Buy authentic Polo Ralph Lauren sunglasses from EyeInform website. 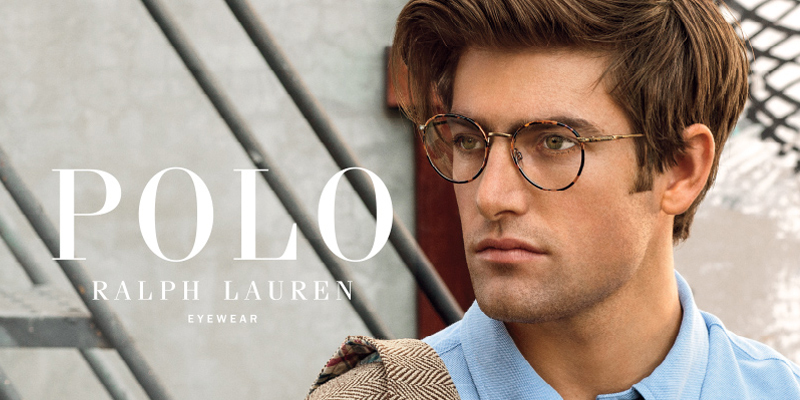 Buy Polo Ralph Lauren frames with lenses and Polo Ralph Lauren glasses without lenses for fast shipping and easy returns.